You may never see the stars align themselves like this again in your lifetime. 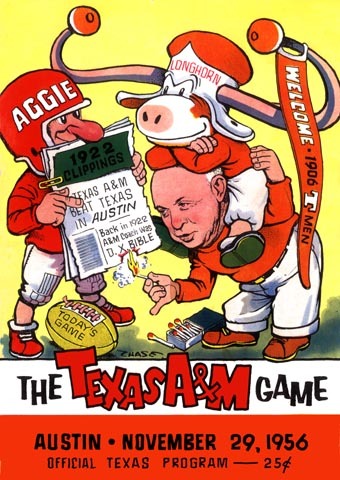 An unbeaten Aggie eleven meeting a one win Longhorn team. That Bear Bryant fella might have known a thing or two about coaching.